The five pieces comprising this EP were recovered from what I had assumed was the ‘empty’ section of an old open-reel tape. I had not heard the tracks in over thirty years. Indeed, I could scarcely recall having lain them down. They (and several other pieces, now irrecoverably lost) were recorded when I was 17 years of age. Collectively, the works represent the final phase of a four-year engagement with music and mark the transition from song-orientated to spontaneous composition. In September 1977, I gave up music in order to concentrate on my studies in fine art. So, the pieces also constitute what would be my last foray into experimental music for a very long time. All of them were recorded on the right channel only of an Akai 4000DB Mk II reel-to-reel tape recorder. When the recording level of the left channel was set to match that of the right one, the latter copied the signal from the former several hundred milliseconds later. This arrangement introduced a lag or period of delay between the two channels’ outputs that could be heard both when recording and on playback. This was a peculiar but eminently useable property of the machine. My reacquaintance with these pieces in 2008 reanimated my interest in, and creative engagement with, what is now referred to as sound art. A description of each track can be read by clicking on either their titles or 'info'. Instrumentation: Columbus semi-hollow electric guitar, Sanyo Cassette Tape Recorder MR-410 adapted to play tape loops, and Akai 4000DB Mk II reel-to-reel tape recorder. Context: Recorded in Abertillery, UK in June 1977. Remastered in Aberystwyth, UK in March 2012. 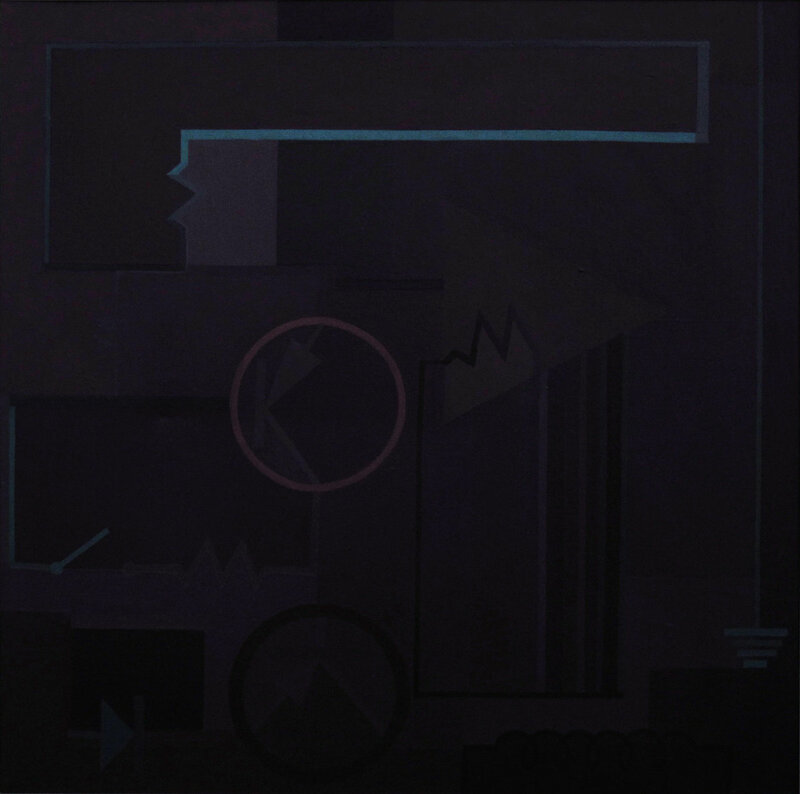 Album Cover: John Harvey, 'Off' (1978), acrylic on canvas, 65.5 x 65.5 cm.